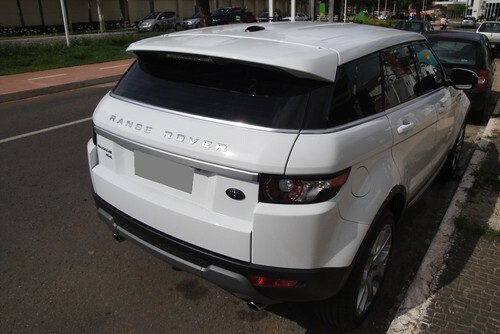 Recently the 2012 X3 out-pointed its new rival, the Land Rover Range Rover Evoque in a head-to-head road test conducted by Consumer Reports, the world’s largest independent product testing organization. The X3 scored an 80, while the Evoque scored a lowly 60, near the bottom of its category. The X3 outscored all models it its class, except the Audi Q5 3.2. While the Evoque has styling that turns heads, Consumer Reports criticized the Evoque’s stiff ride, cramped cabin, troubling emergency handling, and artificial-feeling steering. Meanwhile the magazine lauded the X3’s sporty driving dynamics. This was a bit surprising considering all the accolades the all-new Evoque has received such as the Motor Trend 2012 SUV of the Year and North American Truck of the Year award. But making your own BMW X3 vs. Range Rover Evoque comparison can help you decide which of these top compact luxury crossovers is right for you and your family. The two trim models that most closely lineup is the X3 xDrive35i, which has a starting MSRP of $42,700 for 2012. 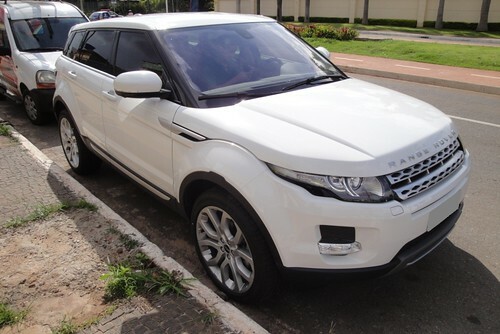 The Evoque Pure Plus 5-door that starts at $43,185. With 300 horsepower, the X3 xDrive 35i returns relatively good fuel economy of 19-mpg and 26-mpg highway. The X3 comes standard with an 8-speed automatic transmission while the Evoque has a 6-speed automatic paired to a 240 horsepower four-cylinder engine. The Evoque has estimated EPA fuel economy of 19-mpg city and 28-mpg highway. Both models come standard with all-wheel drive. The X3’s fuel economy is impressive considering the model weights 4,222 pounds. The Evoque is much lighter at 3,680 pounds but is 11.5 inches shorter, thus the compromise in interior room. The Evoque is 3.3 inches wider than the X3, giving it its sporty, muscular stance. If you dare to take a $43,000+ crossover off-road, the Evoque is the clear winner. With its legendary Land Rover heritage and extra ½ inch of ground clearance over the X3, the Evoque can take you just about anywhere and likely be one of the best small SUVs for the snow. These models have comparable standard feature. The Evoque does have standard power lumbar support while the X3 does not. Neither model offers a standard sunroof, power seats, or heated seats, which is surprising at this price point. The X3 and Evoque have similar passenger room, but the X3 has the clear edge in cargo space. The X3 has 56.5 cubic feet with the rear seats folded flat, about 10% more than the 51 cubic feet the Evoque has. In terms of performance, the X3 xDrive35i is the clear winner. According to Motor Trend, the 2011 X3 xDrive35i went from 0-60 in 5.6 seconds whereas the 2012 Evoque did it in 6.7 seconds. However, it should be noted that Motor Trend conducted the X3’s 0-60 test with a $1,400 Dynamic Handling package. The X3 was significantly refreshed for the 2011 model year. This BMW X3 vs. Range Rover Evoque comparison should help you decide which of these compact luxury crossovers is right for you. Check out our 2013 Acura RDX article to see what changes this model is bringing to the table. Which model do you prefer? Vote in our poll at the bottom of our 2012 BMW X3 article.